Bed and Breakfasts near Barons Court for 1 night from Tue Apr 23, 2019 to Wed Apr 24, 2019 within 25 miles, in an Average Nightly price range of £1 to £200. With a 24-hour front desk and a modern bar, Holiday Inn Express Earls Court offers free breakfasts. West Kensington Underground Station is a 5-minute walk away. The bright bedrooms each have a TV with satellite channels and on-demand movies. Rooms also feature air conditioning and WiFi access, and each has a private bathroom with a hairdryer. A hearty breakfast buffet is served daily at Holiday Inn Express, including hot and cold items. The Great Room bar features a large-screen TV for live sports, and offers light snacks and refreshments. There is also a meeting room and business facilities on site. Holiday Inn Express Earls Court is just a 10-minute walk from the Earls Court and Olympia Exhibition Centre. Stamford Bridge Stadium, home to Chelsea FC, is a 15-minute walk away. This recently refurbished boutique hotel is situated in southwest London. It has 8 rooms with either en-suite or shared bathrooms. Every room has a 42-in TV WiFi access super king size beds and coffee machines. The hotel s location is less than 3 mi from London s museums and the Royal Albert Hall and there are multiple parks nearby. The city bike scheme has a docking station directly adjacent to the building which provides guests the option to explore the city on two wheels. The hotel itself is situated above a pub of the same name and serves British/French cuisine all week long as well as live music nights and a quintessentially English quiz on Sunday evenings. The Captain Cook is located just a mile away from Craven Cottage and Stamford Bridge where many football games are held. The West Cromwell hotel is a small family run hotel with 21 rooms. All rooms have en-suite bathrooms. Recently refurbished in January 2008. Centrally situated in the royal borough of Kensington and Chelsea one of only four royal boroughs in the country. Kensington Palace with it s magnificent gardens Albert Memorial and statue of Peter Pan. Kensington Gardens the Albert Hall Science Museum Geological Museum as well as the Victoria and Albert Museum and the Natural History Museum. Hyde Park with it s three hundred and forty acres of Royal Parkland and Serpentine Lake for fishing boating and swimming during the summer months. Harrods of Knightsbridge - one of London s most exclusive shopping areas - is easily accessible as are London Transport Tube stations. Also within walking distance are the Olympia and Earls Court exhibition centres. In a quiet street, just a 2-minute walk from Earls Court tube station and Earls Court exhibition centre, the friendly, family-owned Lord Kensington has free WiFi. There are 23 spotless and individual bedrooms. All except one has a private bathroom, flat screen TV, hairdryer and telephone. The hotel also has one basic double, with a shower and basin in the room and a private toilet outside. The friendly staff can help book tours and tickets for West End shows at reception. Located in the stylish borough of Kensington and Chelsea, Lord Kensington Hotel is just a 15-minute walk from the famous museum district of South Kensington, featuring the V&A and Natural History Museum. Knightsbridge is a 20-minute walk away. The 3-star Kensington Court Hotel offers modern accommodation, 5 minutes' walk from Earl's Court Exhibition Centre and Tube Station. It has a 24-hour reception, free Wi-Fi and secure parking. All spacious rooms have a comfortable bed, a satellite TV, minibar and tea and coffee making facilities. The private bathroom in each bedroom has a hairdryer. Kensington Court has a welcoming lobby, where guests may relax. A breakfast menu is served every morning in the Breakfast Room. Nearby Earl's Court Tube Station is served by the Piccadilly Line, with excellent access to the West End and a direct service to Heathrow Airport. Guests are 0.6 miles from the shops of Kensington High Street. Spacious 2 Bedroom and 2 Bathroom 1 minute walk away from Earls Court Station. Direct access to residence garden and tennis grounds. Fully equipped and newly installed kitchen. Newly refurbished throughout. En-suite bathroom. Free wifi. LCD Smart TV. This fabulous apartment is great for couples families solo travellers or business trips! The Neighbourhood - lovely quiet road in the heart of Central London with many restaurants and supermarkets close by. Baby cot available upon request. br / br / br / br / The apartment is located on the ground floor and is fitted with 2 bedrooms a flat-screen TV and a fully equipped kitchen that provides guests with a dishwasher. br / br / br / br / Royal Albert Hall is 1.1 miles from the apartment while Hammersmith Apollo is 1.2 miles from the property. London City Airport is 10.6 miles away. br / br / br / br / Kensington and Chelsea is a great choice for travellers interested in architecture monuments and entertainment. br / br / br / br / IMPORTANT: Please note that a cleaning fee of �80 will be charged at time of booking. br / br / IMPORTANT: Please note that a damage deposit of �200 will be charged at time of booking and refunded on check-out. Situated within 1.6 km of Olympia Exhibition Centre and 1.7 km of Natural History Museum in London, Nevern Place features accommodation with free WiFi, a seating area, a flat-screen TV and a kitchen. All units come with a dishwasher, oven, a coffee machine, a microwave and kettle. Some units have a dining area and/or a terrace. Victoria and Albert Museum is 2.1 km from the aparthotel. The nearest airport is London City Airport, 20 km from the property. This Victorian building is a stylish 4-star hotel with free Wi-Fi and modern air-conditioned rooms. 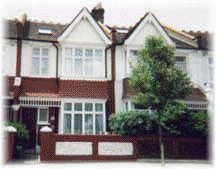 It is just 300 metres from Earls Court London Underground station and Exhibition Centre. The Royal Albert Hall, Science Museum and Victoria & Albert Museum can all be reached within a 25-minute walk. The K+K Hotel George mixes historic original features with modern style and facilities. It has a quiet location and some rooms look out over a large private garden. The large and light rooms each have tea/coffee facilities and a TV with international satellite channels. Luxurious black-granite bathrooms have hairdryers and under-floor heating. There are computers with internet and a printer available to guests in the internet lounge. The hotel also has a wellness area with a sauna, gym and massages on offer. Guests have a wide choice of options with the breakfast buffet, including regional specialities. Dinner is served in the modern bistro lounge, and on the outside seating area. Kensington Gardens and Holland Park can both be reached within a 25-minute walk. This good-value hotel is in a quiet, tree-lined street, 300 metres from Earl's Court London Underground Station and the exhibition centre. There is free Wi-Fi in the hotel's public areas. The Lord Jim Hotel is located in a quiet area in the exclusive Royal Borough of Kensington and Chelsea. The A4 is just 700 metres away and the Olympia Exhibition Centre is less than a mile from the hotel. There are rooms with individual private bathrooms and rooms with shared bathroom facilities. All of the comfortable rooms are serviced daily and each has a TV, telephone, hairdryer and tea/coffee facilities. A tasty continental buffet breakfast is served for guests each morning. Just a few hundred metres from Earl's Court London Underground Station, this aparthotel offers free WiFi and stylish, modern air-conditioned apartments with a fully-equipped kitchen. On a quiet residential street, Templeton Place is just metres from the many restaurants, supermarkets and shops on Earl's Court Road. Olympia Exhibition Centre is within easy reach. Many of London's tourist attractions and business centres are easily accessible via the public transport links Earl's Court has to offer. Kensington High Street is only one stop away via the London Underground. All of the stylish and contemporary apartments have fully furnished kitchens, a washing machine and a dryer. Every room has a TV with a full Sky TV package, including sports and movies and rooms are serviced once a week. The two-bedroom apartments are located around the corner on Nevern Place. The two-bedroom apartments have portable air conditioning units and a TV with Freeview channels. Some apartments are split-level with internal stairs. Within a 3-minute walk from Earl's Court Underground Station, this 4-star hotel has free WiFi and air-conditioned rooms. Earls Court Exhibition Centre is just a 5-minutes walk. Each refurbished room at Best Western Boltons Hotel features a modern private bathroom with a hairdryer. Rooms include a laptop safe, and satellite channels on the flat-screen TVs. Olympia Exhibition Centre is a 20-minute walk, and The Natural History Museum is 15 minutes' walk away. Hyde Park can be reached in 20 minutes on foot. It is 25-minutes' walk to both Kensington Palace and the Royal Albert Hall from the property. The nearest airport is Heathrow Airport, which can be reached in 40-minutes' on the Piccadilly line, direct from Earl's Court Tube station.